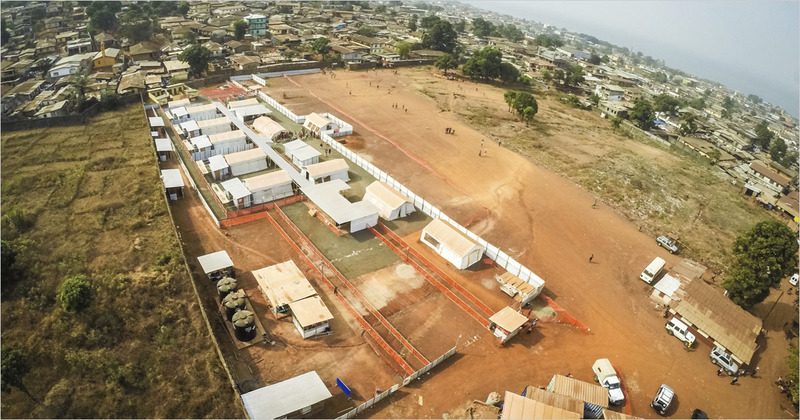 Qlik and Medair team up to fight Ebola in West Africa. Qlik proudly supports a number of aid agencies working in West Africa to deliver information and support critical decision-making. From staff recruitment to analyzing detailed clinical data to determine the targeted need for better quarantine, education and surveillance efforts, Qlik has enabled agencies to make informed decisions saving time, money and lives. One year after the spread of the deadly Ebola virus, many are working to develop solutions to understand and prevent another global crisis. Past outbreaks and similar epidemics also alarmed health officials. The Ebola crisis, however, showed how an outbreak can quickly become difficult to contain as populations are increasingly mobile. Data visualization has become a vital tool in improving disease management. Meaningful information supports all aspects of a response from resource allocation to tracking the effectiveness of treatment methods. Visual representations before the disease spreads are critical for supporting infection control measures, identifying gaps and most importantly moving from reactive visuals to proactive alerting. Medair entered Sierra Leone in 2014 taking on “red zone” needs to provide rapid isolation and additional bed capacity in the Western Area urban slums of the Kuntorloh community where isolation beds did not exist and the nearest treatment center was more than an hour’s drive away. Medair’s experience and knowledge of outbreak management and mitigation, as well as their knowledge of infection prevention and control methods enabled them to rapidly provide quality isolation and Ebola treatment, as well as support to affected families quarantined at home. With the evident need and active participation and support of Kuntorloh community, Medair assisted in scaling up efforts to break the chain of transmission and encourage community-led initiatives which can be developed and persist even after the outbreak has resolved. Qlik began sponsoring Hackathon events in 2014. The first Hackathon resulted in the building of an application to benefit Medair. Participants used data from Medair and other sources to visualize the tremendous impact of their programs. In November 2014, Qlik sponsored another Hackathon to support the United Nations creating a “Diplomatic Pulse” dashboard which will soon be made available to UN desk officers who monitor international affairs daily and advise UN senior leadership on how to prevent or react to crises. On April 25th, Qlik will sponsor a Hackathon event at our annual partner conference, Qonnections. Participants will be challenged to take clinical and quarantine data from the Medair center in Sierra Leone to create an “Outbreak Analysis” dashboard. The dashboard will leverage data and experience to create an adaptable tool for future outbreaks usable by any NGO or health ministry. Metric Insights, a Qlik partner, will enable anomaly detection across metrics in the dashboard. All outbreaks globally each year have basic reporting requirements. The exact details may vary by outbreak whether it’s giving out items for obtaining clean water or sharing critical messages with a family to prevent illness. If basic household level activities as well as clinical patient line lists needed for all outbreaks could be linked to a standardized dashboard—this could be adapted for future outbreaks and any organization involved. If information is available in real time mapping the spread of the disease by location, future outbreak responses could be better targeted and save more lives. We look forward to having the “Outbreak Analysis” dashboard in place when the next crisis strikes.